It wasn’t so very long before Christmas we were chatting to Zombie about the development of Daylight – the procedural horror game that became the very first Unreal Engine 4 release. Then, the Seattle studio were at work applying their experience with random level generation to other follow-up projects in UE4. Now, however, they’re gone. After more than two decades and over 30 games, Zombie’s founders have decided to retire and shutter the business behind them – though some of its staff will continue on under a new name. “The owners of Zombie Studios are retiring and wish to thank you, our fans, for the years of support you have provided us,” wrote Zombie on their website. “It has been awesome working with all the various technology and our fans, and producing fun games and technology of our own. 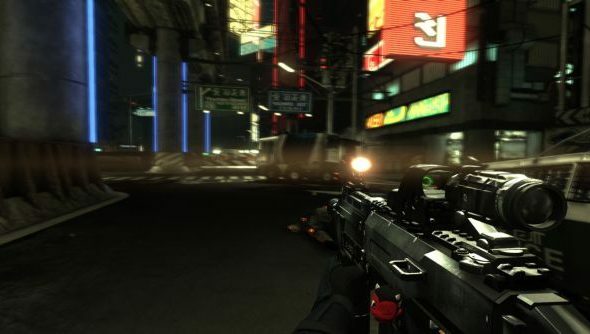 In their 21 years, Zombie have worked on games in the Spec Ops and Zork series – but most recently enjoyed success with cyberpunk FPS Blacklight: Retribution. Retribution’s post-release development will carry on under Builder Box Games – a new company formed by Zombie production director Andy Kipling and technical director Russell Nelson to continue some of the deceased studio’s work. “While ownership of the game has changed, the people behind the scenes who have been constantly contributing to the Blacklight universe for the last four years remains intact,” wrote Kipling and Nelson on the Builder Box Facebook page. Expect more updates and tweaks to Retribution in the coming year. Perhaps that’s your lunchtime shooter of choice?